It’s so easy for travelers to China to make all sorts of travel mistakes – both during the planning phase as well as throughout the journey. Some mistakes aren’t worth noting while others can end up costing you a small fortune. Here’s a list of the most common China travel mistakes…and how to avoid them. Trust me, I’m not trying to shame you for any stupid mistakes here. The reality is, as international travelers we often don’t know what we’re getting ourselves into when we travel! Because of this, we’re prone to falling into the same problems that travelers before us did. I know, because that used to be me. You’re going to get plenty of adventure in China with or without learning the “hard way”. You’re better off taking notes from my China travel mistakes – and the ones I see other travelers fall into – and then avoiding them. Here’s a simple look at the most common China travel mistakes and how to avoid them. I don’t know about you, but my smart phone has become an essential part of my travel gear. I use it for maps, translation, email and, of course, posting pictures of my travels on social media. It’s a mistake to assume that your phone will just magically work when you land in China. There’s a lot you need to consider here. Are you going to use your carrier’s international plan? If so, you should check pricing and make sure you understand the plan limits. Are you going to use your own phone? Make sure that your phone is compatible with China’s network (check with your carrier). Are you going to rent a phone? Most people aren’t even aware that it’s possible to rent a phone in China, but it can save you both headache and money. For many countries around the world, you can just show up at the airport and buy a local SIM card. While this may work at times in China, I wouldn’t count on it. DON’T FORGET: As part of your phone preparations, remember that even if you use an international plan, the internet you access in China will be censored. That means no email, Facebook, Instagram, Google Maps, etc. You’re going to need to use something like ExpressVPN, which has a dedicated app for your phone, to circumvent the website blocking. *Note*: You need to set up your VPN prior to arriving in China…it’s super hard to do it once you arrive! China is a great country, but like anywhere in the world, there are some shady characters. Tourism draws lots of money. And where there’s money, there are professional scammers and thieves. Most of the scammers prey on your ignorance while the thieves like to take advantage of your trusting nature. There are ways that you can combat both of these. First, read up on the most common scams in China. My favorite is the tea scam where a student approaches you asking to take you to tea so they can practice their English. It seems innocent enough, but then they leave you with the bill for insanely-overpriced tea (they get a commission from the tea house). Wear your backpack on your front: It’s far too easy to dig into your bag in crowded areas like the subway in China. Don’t carry large amounts of cash on you: Most hotels offer a safe where you can store the cash you won’t need for the day. Carry a copy of your passport: Leave your passport at your hotel. Although the law requires you to keep it with you “at all times,” a paper copy is sufficient. The last thing you want is having to go to the police station to get temporary papers and also waiting at your country’s embassy or consulate to get a replacement passport. Front pockets are your friend: If possible, keep your wallet and phone in your front pocket instead of the back pocket where it’s easier to swipe. If you’re like most travelers, your time is limited. You can’t be wasting getting from point A to point B.
I get that, but I also know that it’s a mistake to fly everywhere you want to go in China. Not only is flying usually more expensive, it also doesn’t afford you the opportunity to see the countryside or visit with friendly locals the same way trains and buses do. One of my favorite China travel hacks is to take an overnight train to my next destination. Not only is it loads cheaper than flying, I also save money on a hotel! The main excuse I hear from travelers as to why they fly everywhere is simple: they don’t know how to take the train or bus in China. Thankfully, I’ve written out extensive guides for buying tickets, setting expectations and taking both a train and bus. Before I leave my hotel in China, I always make sure that I have packed what I call my “daily essentials”. The funny thing is that each one of these essentials that I’m about to list for you was born out of a personal travel experience. As you read along, you’ll understand what I’m talking about. Pepto Bismol: As foreigner travelers, our stomachs aren’t used to the food in China, making it very easy for even the strongest of men/women to fall victim to Mao’s Revenge. Water: Water is not potable in China, so you need to either pack your own water or bring money to buy bottled water in a shop. I also usually recommend travelers brush their teeth using bottled water, even in a hotel. Toilet Paper: Believe it or not, very few public toilets in China supply you with toilet paper! Yes, I know this from unfortunate experience. Bring your own toilet paper!! Hand Sanitizer: These same bathrooms also don’t normally have soap. Need I say more? Even this simple essentials list could save you huge headache while out and about in China. I know a lot of people who either refuse to use a travel guide or think they don’t need to because they’ve joined a tour group. I strongly recommend picking up a good China travel guide before your trip to China. It doesn’t have to be a hefty book – many of the top travel guide books are now available as an ebook download. You see, a quality travel guide can provide historical context that you won’t get traveling on your own. It can also provide suggestions for what is truly worth seeing, eating, and making the best use of your time. During my latest adventure in China, I was able to plan my entire trip prior to leaving using my Lonely Planet China guide and the actual trip was nothing but seeing what I wanted to see and eating what I wanted to eat without having to stress about what to do. Do yourself a favor and pick yourself up a travel guide well before you leave for China. If you take the price you’re first quoted in China, you’re probably getting ripped off. Being a foreigner in China comes with the stereotype of being rich. With this stereotype, many merchants attempt to overcharge foreigners for pretty much anything: souvenirs, taxi rides, a t-shirt. To avoid being ripped off, haggle on anything that is available for purchase without a price tag. Don’t speak Chinese? Not a problem! Use your phone’s calculator to display the price you want to pay. A rule of thumb I heard foreigners live by is to start by offering a tenth of the asking price and work your way up from there. If you cannot agree on a price, walk away. If you are haggling over a souvenir, the exact same item is definitely available at another shop and you can try to get the item for the price you want to pay. BONUS TIP: Once you’ve purchased an item, don’t compare prices at other stores or with other people. It will only depress you. You paid what you were willing to pay…be happy with it! 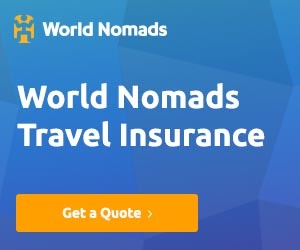 I’m sure there are some countries where traveling around without travel insurance isn’t too risky. China is not such a place. If you can afford to travel to China, you can afford travel insurance. I’ve known too many people who have lost luggage or were forced to make an unplanned visit to a hospital. In some cases, that person was me. …all because he didn’t have travel insurance. Your current health insurance might cover you for some things, but I can guarantee you it doesn’t cover you for everything you need while your’e traveling in China. I’ve used World Nomads in the past and really liked their product. Do yourself a favor and spend 5 minutes just getting a quote to find out how much that insurance safety net would cost you. There are plenty of other mistakes you can make while traveling. I made them and you’re probably going to make them. It’s no big deal. However, it’s best to avoid the mistakes you can prepare for so you have the capacity to face the ones you don’t expect! Take a close look at each of the common China travel mistakes listed here to prepare yourself. Also, I recommend you check out a lot of the free downloadable China travel resources available on this website. Do you know of any other common China travel mistakes people make? Let me know in the comments below!